The researchers of the Logistics Department periodically publish high profile articles in renowned journals as well as high-quality scientific articles in national and international scientific publications. In addition, the Logistics Department publishes high-quality monographs and edited works in technical and business areas of logistics, which cover the topic of logistics holistically. Furthermore, the Logistics Departments has initiated several serials to make research results available to a wide audience of interested practitioners, researchers and students. 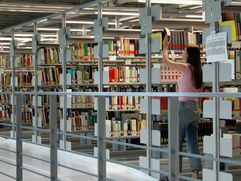 These include the "Schriftenreihe Logistik", where dissertation results of the staff of the department are documented, the digital Series Logistics, where discussions of current research projects are presented to the scientific community, as well as the publication series of the Manufacturing Excellence Awards.